New Delhi [India], Dec 22 (ANI): While Ryan Reynolds is usually the one pranking people, this time, the joke was on him! Washington DC, [USA] Nov 04 (ANI): Hugh Jackman just got trolled by his fellow Hollywood actor Ryan Reynolds. Washington D.C. [USA], Apr 12 (ANI): Actor Hugh Jackman has posted a touching tribute to his wife Deborra-lee Furness on the occasion of their 22nd wedding anniversary. Washington D.C [USA] Mar 29 (ANI): Hollywood actor, Hugh Jackman is in talks to star in Automatik's film 'Bad Education', the Hollywood Reporter confirmed. Washington D.C. [USA], Jan 8 (ANI): It seems Hugh Jackman just couldn't hide his disappointment when James Franco won Best Performance by an Actor in a Motion Picture - Musical or Comedy for his role in 'The Disaster Artist'. 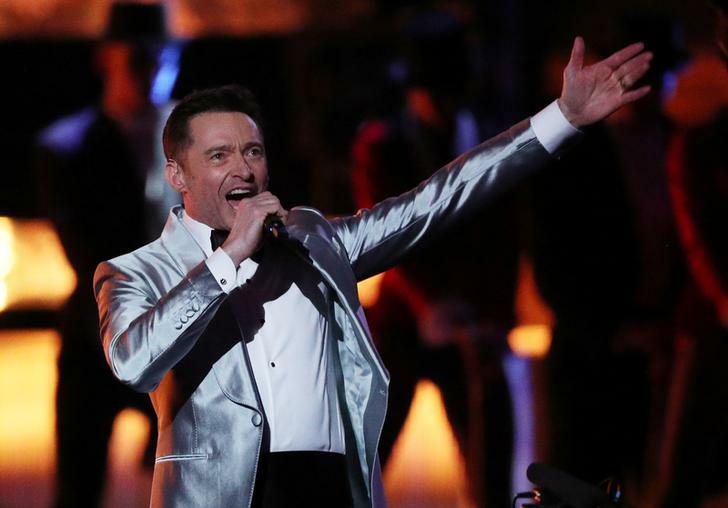 Washington DC [USA], Jan 2 (ANI): Hollywood actor Hugh Jackman has admitted his upcoming movie 'The Greatest Showman' involved a great risk. Washington DC [USA], Dec 31 (ANI): Hugh Jackman has said that the sexual misconduct allegations, that have taken Hollywood by storm, have taught him to be "more pro-active".